Are You Consuming “The Dirty Dozen” ? 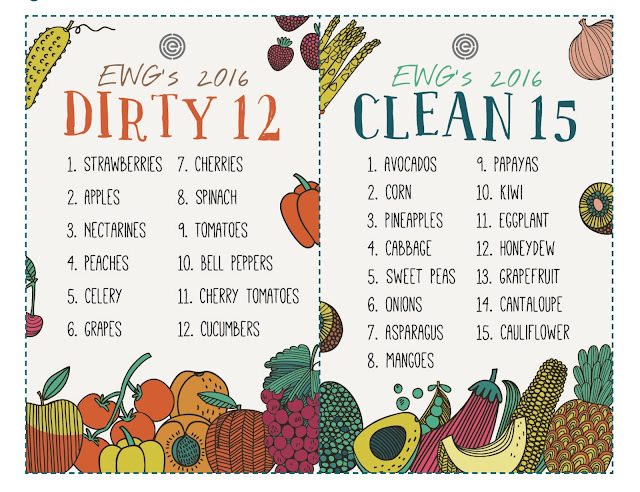 The Dirty Dozen is the list of produce items that contain the highest levels of pesticides and chemicals and should be bought organic whenever possible. The Clean Fifteen are the produce items, which contain the lowest pesticide levels, and may be bought conventional if organic is not available. Generally speaking, foods that have a thick outer skin, which is not consumed, are safer to buy conventional. Produce like avocados, and grapefruit fall into this group. Looking for help with the right diet for you, determining food intolerances, or weight loss? Contact me through my website: www.mobilenatmed.com and start your journey to a healthier you today! That is almost ½ of people that are not getting enough of this vital mineral! 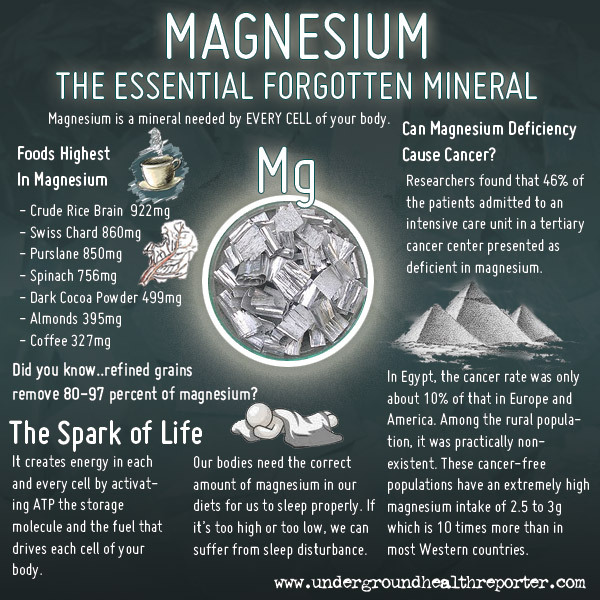 Magnesium (Mg) is needed by all your cells playing a part in over 350 chemical reactions, required for energy production, contributing to heart, muscle, and nerve health. Supplements, what form is best? 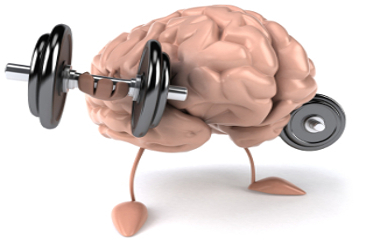 Our brains are truly amazing, and plays a vital role in our thoughts, actions, and regulating our bodies. Optimal brain health is critical throughout life and there are many things we can do to support this. Healthy lifestyle choices are important including things like exercise, healthy nutrition, and even “brain games” like luminosity, crossword puzzles, or chess. Beyond these, there are many vitamins, herbs, and other nutrients that help support brain health and also prevent cognitive decline as we age. Nutrition is so important! The foods I recommend to include in a daily diet to support brain health include: Coconut oil/MCT oil, Spirulina, Raw/unsalted nuts and seeds, Avacado, green tea, and blueberries. 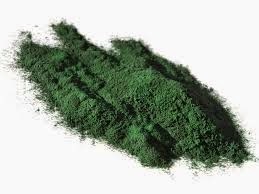 * Polyunsaturated fat high in fish, walnuts, flaxseeds, and algae (like spirulina). We cannot make omega 3’s and must obtain it from our diet. The EPA (eicosapentanoic acid) and DHA (decosahexanoic acid) are the active components of omega-3’s. When choosing a supplement you want to look for a high EPA & DHA content. * DHA is particular is essential for brain function, especially in the developing brains of children. Supplement: Flaxseed oil, Omega-3 fish oils or Cod liver oil, Krill oil. *Caution if you are on blood thinning medication as omega-3’s can further thin the blood. * A water soluble vitamin found mainly in meats and fish. *Vital in the production and maintenance of nerves, cell growth and function. * B-12 can be difficult to absorb from the diet, or low in vegan/vegetarian diets as such deficiency is quite common. * Injections: The best and most absorbable way to increase B12 levels is through injections. These can be administered by your naturopathic Doctor on a weekly basis, as needed. 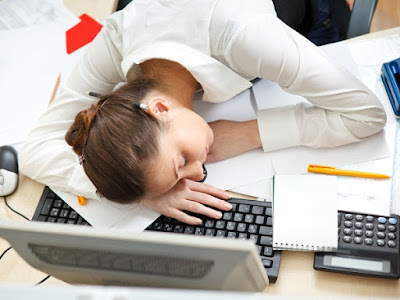 * 5-Hydroxytryptophan is a precursor to serotonin, a brain chemical important in regulation of moods, sleep, headaches and fibromyalgia. * Supplement: L-Tryptophan, Griffonia, and 5-HTP are all options to increase serotonin. * Caution if you are taking any mood medications including SSRI’s, & MAOI’s. * Has been shown to slow cognitive decline in elderly and middle aged patients. Reduces the breakdown of acetylcholine in the brain, increases GABA production, and acts as a brain antioxidant. *Found in supplement, tea, and tincture form. * Preventative and protective against ischemia induced cerebral and cardiovascular tissue damage. An effective vasodilator and and reduces blood viscosity. * Has been shown to improve concentration and memory. *Caution if you are on blood thinners or have history of stroke. Superfood of the Week: Avocados! A warm chai on a cold night sounds like the perfect combo and it is easy to make at home. 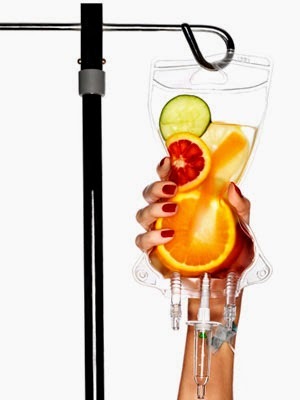 Have you heard about IV Vitamin therapy? While it is becoming more popular it has been in use by Naturopathic doctors for over 50 years. Intravenous or IV therapy involves infusion of vitamins, minerals, antioxidants, and amino acids directly into the blood stream for a 100% absorption rate. The benefit of this treatment method is that we can deliver therapeutic doses of the nutrients, which bypass the digestive tract and are immediately available for your body to use. 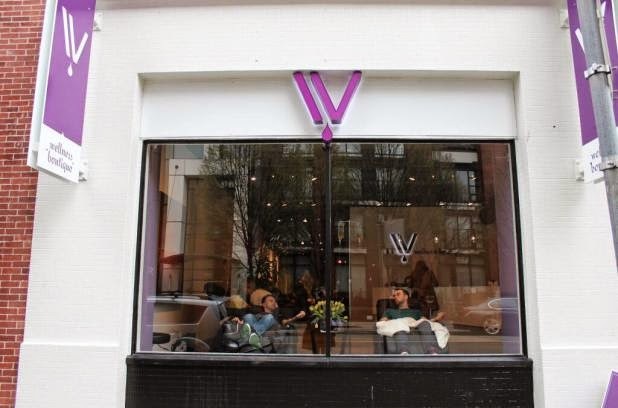 A the IV Wellness Boutique we have specifically formulated IV’s to optimize your well-being and address specific health concerns. -Weight Loss: To get your metabolism going! IV therapy is generally safe. All of our IV’s are prepared and administered by licensed Naturopathic doctors to ensure patient safety. IV therapy has been used for over 50 years, and was first developed by Dr. John Myers (“the Myers Cocktail”). Our naturopathic doctors have lots of IV experience and do their best to make the experience as comfortable and easy as possible. Most patients find the treatment quite comfortable and relaxing. Some patients experience mild aching during the treatment or minor pain sensation during the needle insertion. Heat packs can often alleviate discomfort. Do I Need To Do Anything Before Coming In? For best results, make sure you drink plenty of water and eat prior to coming in for your treatment. Interested in trying IV therapy? Come see me! 3) producing proteins necessary for blood clotting and fluid balance in the body. But the toughest job this organ may be responsible for is detoxification: this means alcohol, pesticides, herbicides, air pollutants, anything that is toxic to our cells. 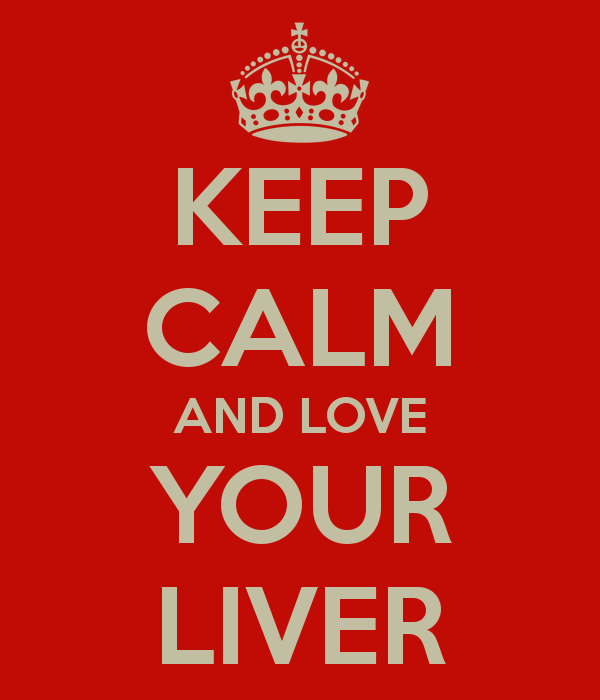 Foods for the liver can therefore benefit anyone, although those with a liver disease will benefit more profoundly. Since pesticides and herbicides are toxins that increase the liver’s workload, eating organic foods will be a significant help. The cost is often somewhat higher but the nutrition count is also higher, as is the benefit to the body. So whether it is a food or herb listed, always think organic first, and you’ll already be on the way to easing the load on your liver. Ginger - increases bile flow, a liver tonic, promoting liver health in general. 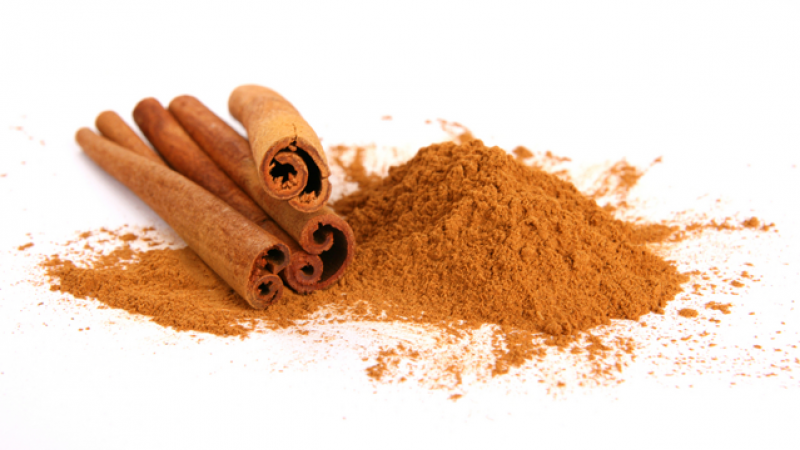 Great in smoothies, as a spice in foods, stir-frys, soup, or tea. 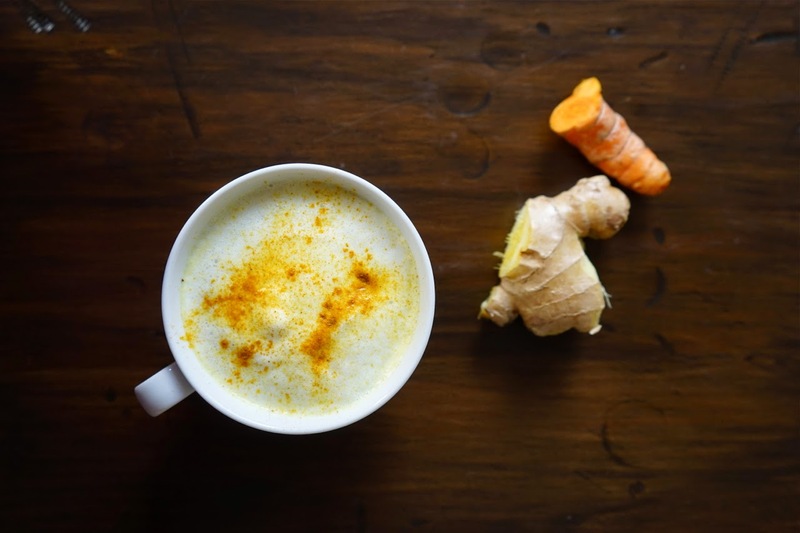 Turmeric - Has antioxidant, anti-cancer, and anti-inflammatory properties. It assists in increasing bile secretion, helps liver detoxification and regeneration. Can be used in cooking, or smoothies. Dandelion - This plant has blood-cleansing and liver-supporting properties. Dandelion leaves go well in a salad. The whole plant including the root provides the best benefit, and this can be ground up into juice, mixed with carrot or apple for example. Another alternative is to dry the root and grind it with chicory root for use as a hot drink. Milk Thistle - The last herb mentioned here is not one that you will find in the spice department, but it is so beneficial to the liver, especially damaged livers, that it is worth mentioning. 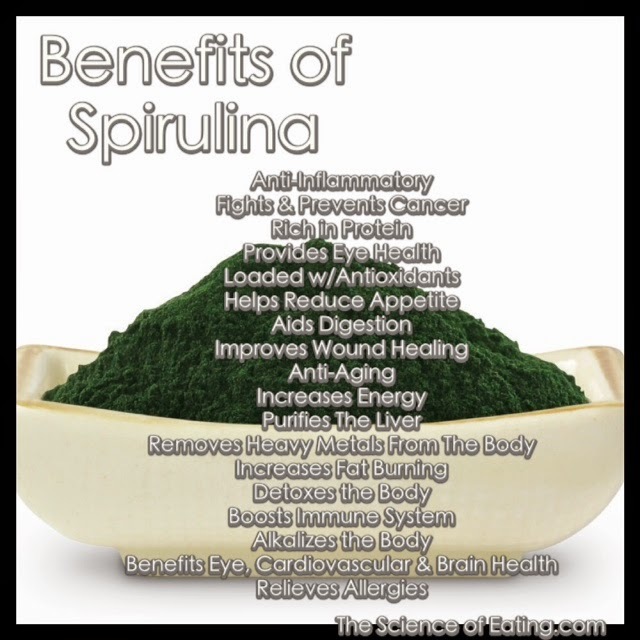 This plant has been found to actually regenerate damaged cells and increase DNA synthesis in the liver. One of the best ways that I have found to include this as a food in my diet is in a seasoning salt. Milk thistle seeds can often be found in health food or herb stores. Seaweed can be bought bulk or packaged in health food stores. You will need a clean coffee grinder for this, preferably one that is only used for grinding herbs. Coffee is hard on the liver, so you want to avoid getting any in your liver-loving seasoning salt. Grind the seeds first and put in a bowl. Grind the seaweed next. This is the trickiest part, and the drier the seaweed, the easier it will be. It doesn’t matter if some of it is not entirely ground. Add the seaweed to the ground milk thistle seeds. Next grind the herbs. Add all the ingredients together and mix well. Keep this on the table where you eat, and sprinkle it on your food. It can be added during cooking too. The combination of milk thistle and seaweed is a dynamite one for liver health. Incorporating liver loving foods into your diet daily is an easy way to support your liver- one of the most important and hard working organs in your body! It is that time of year again- sneezing, watery eyes, headaches, sniffles, and bloodshot eyes. Yup, allergy season has begun. While many reach for the over the counter allergy medication to stop symptoms, there are many non-pharmaceutical and natural options as well. 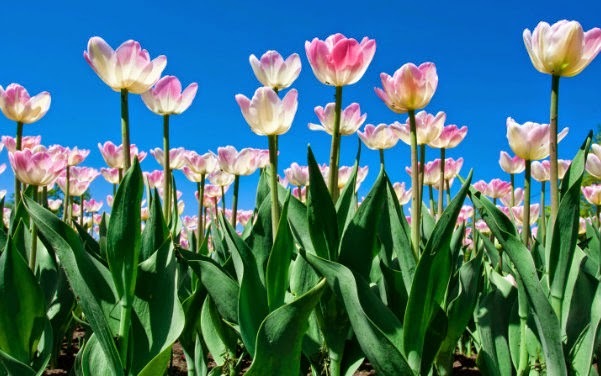 Avoiding exposures to pollens when they are at their worse – checking the pollen counts and plan to go for walks or runs when the counts are low, or in the evenings. Most plants pollinate early to mid morning hours, so later in the day is better to head outside. Take showers and change your clothes to reduce the pollens you are carrying on your self. Change pillow cases every few days. I utilize in office injectable and intravenous (IV) treatments that help seasonal allergy symptoms and also help the body to desensitize its reaction to the allergens for a longer term solution. With so many options, it is important to have a concise treatment plan that you stick to daily. It is important to support the body continuously through the allergy season to best combat symptoms. If you are interested in booking an appointment to have your allergies assessed and have a treatment plan customized for you, you can visit the website at www.drlindseynd.com or call 604-779-7869. 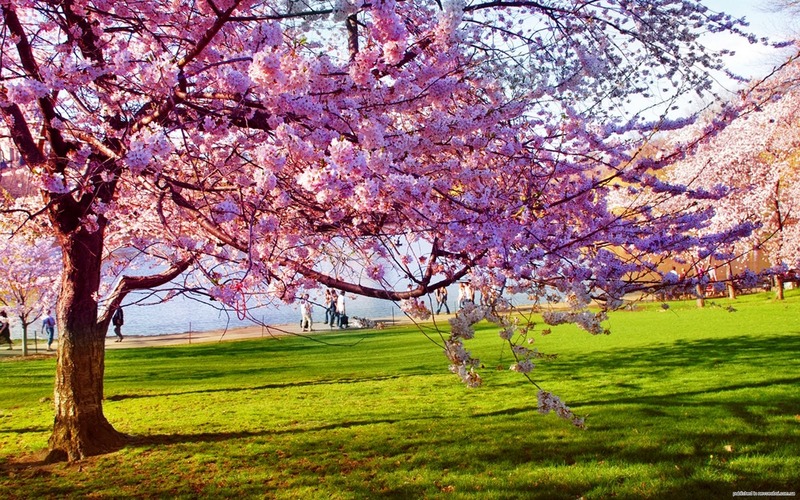 Spring is finally starting to appear, and with the change in season comes a new fresh start. Often a time of detoxing, changing routines, and household cleaning. 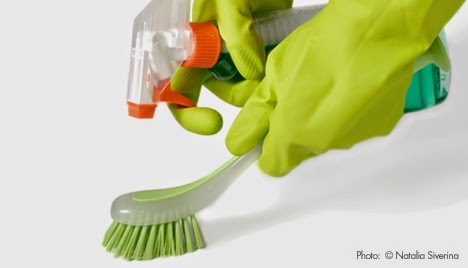 While a clean fresh environment is great, cleaning products can expose us to many chemicals and unnecessary toxins. There are easy switches we can make to reduce this toxin exposure. An average home contains up to 10 gallons of toxic materials in the form of household cleaning products. These toxins linger in your home environment, you breathe them in and absorb them through your skin. The good news is there and natural, safe alternatives to chemical cleaners that will not only save you money but also make your environment less toxic. Many things that you already have in your home, such as baking soda, hydrogen peroxide, and vinegar, make excellent cleaners for multiple purposes. The following information and tips have been gathered with the help of Mercola.com. 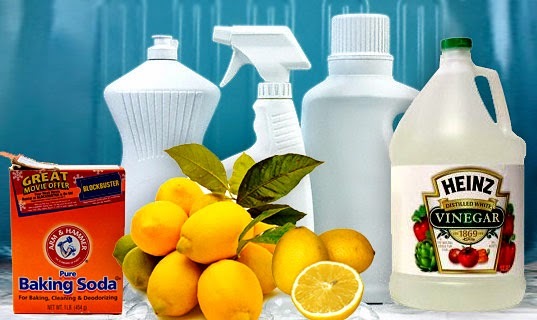 All-Purpose Countertop/Kitchen Cleaner: Mix equal parts vinegar & water in a spray bottle with a few drops of essential oil for a pleasant smell. The vinegar can be replaced with vodka or rubbing alcohol as well. Tub and Shower Scrub: White Vinegar can be sprayed onto tiles/walls to clean mildew. Let sit for 3o minutes and scrub/rinse off. For tougher jobs, sprinkle baking soda on the area first, then spray with vinegar and scrub clean. Antibacterial disinfectant: Mix 2 cups of water with 3 tablespoons of castile soap and 20-30 drops of essential oil- tea tree oil or Thyme. Spray onto surface and wipe off. Carpet Deodorizer: sprinkle liberally with baking soda, allow to sit 30 minutes or more then vacuum. Coconut Oil: can be used as a natural lubricant (where you would use WD-40), to remove gum from many surfaces including carpets, Moisturize and soften leather goods. What's healthy, tasty and brimming with probiotics?